1. Sing short songs with motions. Short catchy songs with motions are great for toddlers. Songs like this include "The B-I-B-L-E", "It's Bubbling", "God Is Good To Me", "We've Got A Great Big Wonderful God". Motions are a great way to engage a toddler, even if they can't sing all the words to a song. You can also shorten a song, such as the chorus to "Leaning On The Everlasting Arms". Your toddlers can sit in your lap as you lean together. 2. It is okay if your toddler just watches you sing. 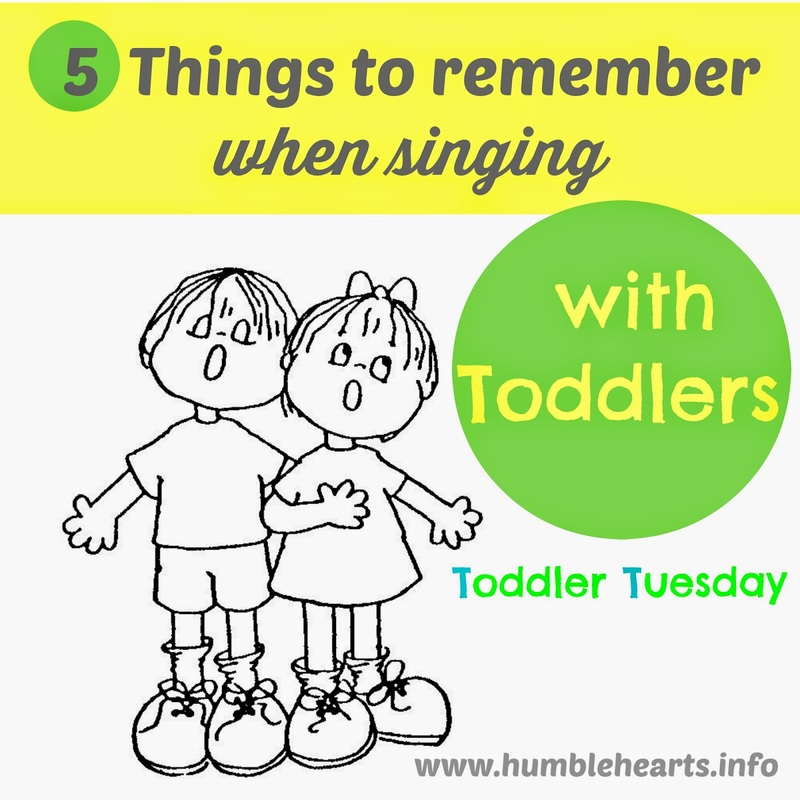 Toddlers are taking a lot in while they listen to you sing and watch you do the motions. Eventually, when you know that your child can sing the song or do the motions, you encourage them to not just watch. You can then teach them that it is good to sing praises to God. 3. Repetition is good for toddlers. While you might get tired singing the same song over and over again, that is probably the point that your toddler starts to learn the song. 4. Play instruments. While you sing, give your child a chance to play a shaker, a child’s drum, or a xylophone. You can make a homemade drum out of an oatmeal container and a shaker out of an empty jar and dried beans. If you play the guitar or piano, play your instrument while you sing with your child. Children love hearing and seeing people play instruments. 5. Don’t worry about how you sound. Singing with your child isn’t a performance. Don’t let your lack of musical skills or training keep you from enjoying praising God with your child. Great stuff! I love the sound of the little ones singing :) They love the B.I.B.L.E. around here.